NCERT Exemplar problems for class 12 Biology in PDF form to free download. NCERT Books and NCERT solutions are also available to download for class xii. These are based on latest NCERT Curriculum for 2017-2018. 12 Biology NCERT Exemplar problems for all chapters are given below in PDF format to download. The answers of MCQ questions and Hindi and answers of all chapter are given at the end of all chapter in a separate link. Storage of food: Sometime, the extra food prepared by leaves is stored in roots. Such roots are underground, fleshy and of various shapes. The stored food helps the plants in tiding over the dormancy. 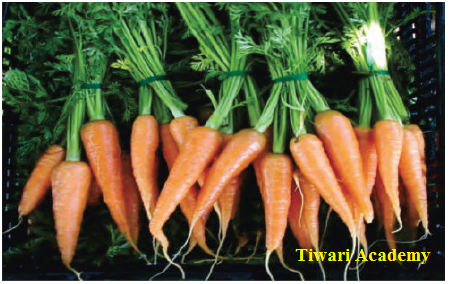 In Carrot, Radish and Beet, tap root stores food and become fleshy. In Carrot, the food storing root become conical. It is called conical tap root. 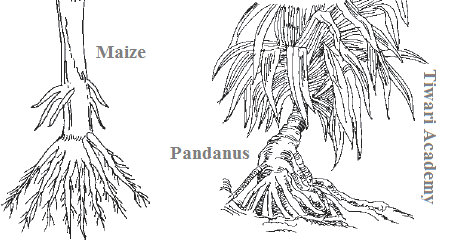 Mechanical Support: In Maize and Pandanus adventitious roots arise from node of the stem nearer to the ground. These roots grow obliquely downwards, enter the soil and provide mechanical support. The root system of Banyan tree possesses a strong hold in the soil. Its aerial branches grow horizontally and gradually become thick providing a good support. Climbing: Plants growing as twinners and climbers possess weak stems. They possess modified structures for climbing. 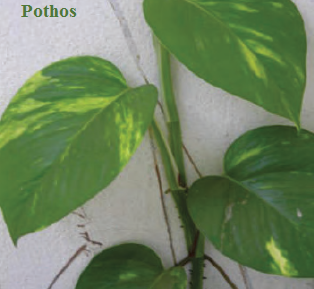 In Pothos, long branched or unbranched, brown adventitious roots develop from nodes and internodes of the stem. They are called climbing or clinging roots. They secrete a sticky material which helps them to stick to the support and helps them in climbing. 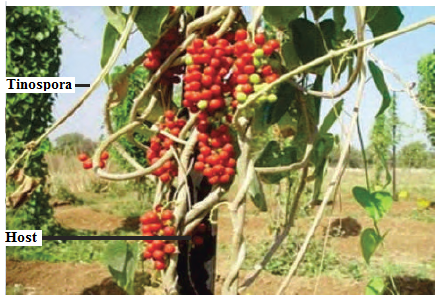 Photosynthesis: Tinospora is a twinner and grows very rapidly. The leaves on the stem are few and small. They cannot fulfil the food requirement of plant. Thin, smooth, green and thread like adventitious roots develop suspended from the stem. These roots are called assimilatory roots. They carry out photosynthesis. 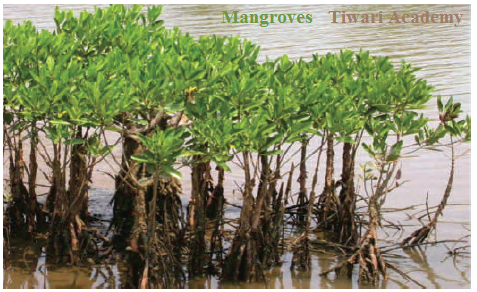 Breathing: The specialized groups of plants which inhabit the saline, waterlogged soil of creeks near coastal regions are called mangroves. Rhizophora and Avicennia are such plants. They produce negatively geotropic and positively phototropic aerial roots from their underground roots. These roots are called pneumatophores.